What you need to know about brakes is one of the most important things for a car owner to be aware of. Clearly, stopping is more important than anything else that occurs when operating a vehicle. Interestingly, the brake system is something that is often overlooked by many car owners. Proper maintenance and keeping your brakes in good working condition is the key to personal safety and avoiding costly repairs. This article focuses on disc brakes and indication that service is needed, however, noises or shudder coming from drum brakes should be looked into as well. When you hear noise when applying the brakes, that is a pretty clear indication that it needs attention. There are a couple of tell-tale sounds that give an indication as to what is going on, what you need to know about brakes, and how critical it is. The first sound brakes make on most vehicles is a high- pitched squealing sound. Most vehicles have a wear sensor on the brake pads that will hit the brake rotor (disc) and create a high pitched squealing sound. That noise is telling you that the brake linings are getting thin and service is needed. Squealing sounds are a high frequency vibration. It is possible to get a squeal from disc brakes when brake pads become glazed. Also when a vehicle is parked for a period of time, the rotors often get a small coat of rust that can create noise. These types of squeal are different from the wear indicator squeal, but if you can’t tell the difference do not assume you are safe. The other sound you can get from brakes is a grinding noise when the brakes are applied. Whenever you hear a grinding noise from your brakes, it is time for immediate service. Grinding noise is likely a metal on metal condition, meaning the brake linings are completely gone. Not only are the brakes not operating efficiently, but when ignored, can cause serious damage and dangerous conditions. I have actually seen situations where vehicles have been driven to the point that the rotors are worn down so thin that the piston pushes out of the brake caliper. This scenario can cause a wheel to lock up and potentially cause a accident. Vibration, shudder or shaking when applying brakes indicates an issue with the rotors, also known as discs. This condition can also be felt in the brake pedal or steering wheel in some conditions. The brake pedal can at times oscillate up and down, or the steering wheel can shake on brake engagement. These symptoms all indicate warped rotors. Rotors can warp from overheating, or improperly torqued lug nuts. Pulling to the right or left when braking is another sign that it is time for service. When a vehicle pulls or, in extreme cases, dives in one direction on brake engagement, it is telling you that one wheel is grabbing. This can be caused by uneven pad wear, or a hydraulic problem. Brake calipers can hang up and not engage evenly. This condition can lead to further issues as well as being unsafe. Hydraulic problems are generally the problem when your brake pedal feels soft or low. Air in the system or a failing hydraulic component can create a soft feel, or needing to “pump up” the brakes. A fluid leak will likely cause a low pedal, sometime allowing the pedal to go to the floor. Modern vehicles have a split master cylinder to prevent total and complete failure in the event of a leak, but the pedal will still go nearly to the floor and only half the brake system will function in that case. How Does Your Brake System Work? Let’s take a look at a brief description of what happens when you step on the brake pedal. When the brake pedal is engaged, it is pushing a piston in the master cylinder. The piston forces fluid out of the master cylinder into the brake lines. As the fluid is forced through the brake lines it pushes a piston in the brake calipers which causes the brake pad to squeeze against the brake rotor. The brake rotor is what the wheel is attached to, so it slows or stops the wheel. In addition to this there is a power assist component, either vacuum or hydraulic that reduces the pressure needed to stop your vehicle. Clearly, there is a lot going on to get your vehicle to stop properly, and keeping all components in good working order is essential for your safety. A thorough brake inspection will involve the components of the entire syetem, including fluid condition, lining on the pads, calipers for leaks and smooth movement, brake rotors for scoring or warping, brake hoses and the steel lines. Brake cable for the parking brake should be inspected as well as all hardware involved in the parking brake. If the vehicle is equipped with drum brakes, wheel cylinders and hardware should be part of the inspection. Unfortunately the automotive repair industry often will oversell brake repairs due to the fear factor with car owners. Everyone wants to be safe, which make an easy target for unethical repair facilities. I have seen many instances where a customer is told their brakes are needing immediate attention when they may easily have 6 months to a year depending on driving conditions. Other examples are when a car owner is told they need to have all the calipers replaced whenever brake pads are replaced. Brake repairs can be quite costly when overselling occurs. Understandably, brakes are very important, however, proper maintenance and proper evaluation of what needs to be done will keep the expense at a reasonable figure. It is unfortunate that often brake repair costs are driven up unnecessarily. If you feel you are being oversold, do not hesitate to get a second opinion. I am asked ” how often should I change my oil? ” often. The answer to that question will vary with different resources. The industry standard from a shop viewpoint is 3,000 miles or 3 months. I change the oil on my personal vehicles every 3,000 miles and that is what I tell my customers. Of course the customer always has the last say in what guidelines to follow. I am not a scientist, I just know what I have seen with varying intervals. I researched this topic a little bit and this is what I found. Consumer Reports suggests 7,500 miles. I would advise customers to use that interval if using a synthetic oil. Synthetics have completely different characteristics, which would be a different subject to be covered in another post. Advance Auto Parts has an article that really doesn’t give an answer, but illustrates how over time contaminants will turn your oil dark, and that you want clean oil lubricating your engine, not grit and contaminants. Contaminants will turn your oil to sludge. I found an article on Angie’s List that adds another thought to the mix. One source in the article said “Having an oil change more often means that your mechanic is checking your vehicle three or four times a year rather than twice a year,” as well as “Five thousand miles on the highway in five months is better that 1,500 miles of in-town driving in five months.” I agree that driving habits and conditions will have an affect on the life of your oil. AAA emphasizes that meeting the manufacturer guidelines for the proper oil type and viscosity is the most important concern. The article also mentions driving conditions. Cars.com indicates that anybody recommending 3,000 miles is just trying to make money. I find that absurd, oil changes are a money loser for most repair facilities. Many shops use oil changes as a loss leader and will upsell you on everything they can find. Of course it is the responsibility of the shop to keep you advised if you have any real concerns, but upselling is a real issue for the consumer. So many repair shops prey on the consumer in this situation. It is like when I go to the dentist, I have to rely on them to tell me what concerns I have without selling me a bill of goods. I have no idea if what they are telling me is true, I have to trust them. I dislike that my industry has become so shady, but again, this is a topic for another post. Firestone Has a very good article about what creates sludge and how diving condition and climate affect oil. It is good information. The article does challenge the 3,ooo mile rule of thumb however. My conclusion after reading these articles is that most information is stating that 3,000 mile intervals is more than necessary. After reviewing this topic I will be advising my customers what I have learned and letting them make their own decisions. Am I going to change my oil change intervals to 5,ooo or 7,500? That is not likely. Having been in this business for over 40 years now, I have seen a lot, and I have seen what oil looks like after 7,500 miles. My customers can make their own decision however, I will advise them what their manufacturer recommends and tell them what I do. As I said, I am not a scientist, I just know what I have seen. The most important thing is to monitor your oil level. Cars can definitely use oil, sometimes a lot of oil. I have seen factory representatives tell car owners that using a quart of oil in 800 miles is acceptable by manufacturer guidelines. It is your responsibility to monitor your oil level between oil changes. I would not expect a car to go 7,500 miles without having to add oil. When you first hear “that noise” is the best time to find out what it is. You drive you car all the time, you know what it feels like and what it sounds like. When you hear a noise or feel a vibration or handling condition that you haven’t felt before, it is a good idea to find out what it is before further damage occurs. Ignoring the warning can often create a much higher repair bill. For example a scenario might play out like this: You hear a squeal at random times and it seems to be coming from under the hood. You hear it again and perhaps say to yourself, “there’s that weird noise again, I wonder what that is?” Then you start getting used to it, it comes on randomly so you think maybe it will get more consistent before you worry about it. In this little story, the failing item is the electric cooling fan bearing is going out. On many cars the cooling fan will only operate when the engine is at around 220 degrees Fahrenheit. So the noise keeps coming on randomly, never at high speed, and only when the car is running hot enough for the computer to engage the fan. Until, one day the cooling fan comes apart and hits the fan shroud, breaking the shroud before the fan blades proceed through the radiator and possibly into the A/C condenser. Now what could have been a fairly minor repair has turned into several hundred dollars. Many components of a car can fail and cause damage to other components if not addressed in the early stages of the failure. Expense is one concern, another is safety, for example a wheel bearing failing to the point that the wheel comes off. A loose suspension component that is making a rattle or knocking noise when hitting bumps can fail and cause an accident. When you hear noises in your vehicle, it is a good idea to find out what it is. Is it something that needs immediate attention? Can that ‘noise’ cause further damage? Is it something that is unsafe? Of course not every noise we hear is a ticking time bomb, but if you don’t know what it is, you don’t know if it has the potential to escalate into an uncomfortable situation. Spending money on repair bills is never fun, but the alternative can be much less fun. Pay attention to what your car is telling you, it could save you hundreds in unnecessary expense, or worse, unsafe conditions. I always hear from new customers that they have had a hard time finding an honest mechanic. So how does a person look for the right shop for their automotive needs? What should you look for? If you have a new vehicle then you will need to go to the dealership for warranty repairs, however, federal law states that you are free to have anyone do your service work. 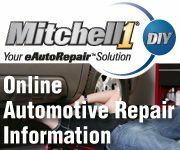 You can read more about this in my previous post “The Dealership Alternative” If warranty issues some up, the dealership may ask to see records of maintenance, so you should keep records, or use a repair facility keeps records of your vehicle. Finding a mechanic you are comfortable with and can trust is the challenge. The first option is usually internet search. Does the facility get good reviews? Does the website tell you what you need to know? Considerations to narrow the options. When you feel you have found a repair shop that you are considering, a phone call can go a long way towards getting an idea how business is handled. It is always nice to be able to speak directly with the mechanic, your concerns or needs can lose translation going through a service advisor. Often during a conversation with my customers, things are said or questions come up that can help immensely with diagnosing the problem at hand. Of course, nothing replaces meeting your mechanic face to face. That is where the relationship really begins, do you feel comfortable talking with the representative at the repair shop? Do you feel your concerns or needs are being acknowledged? Do you get the personal attention that you deserve? I feel these guidelines will help you find a good mechanic that can take care of your repair and maintenance needs. These are the areas I try to cover when meeting a new customer. You and your vehicle are important, take the time to find the right shop for you and your car. With the cooler temps and all the rain, I have been thinking it is time to winterize our RV. It occurred to me that my customers should be preparing their vehicles for the winter season as well. As I was running through my mind the things that I take for granted that everyone knows, I received a text from a friend that had recently purchased a used vehicle and found out under unfortunate conditions that the vehicle had no jack. I considered how amplified that situation would have been if it were 10 below zero and snowing, so that is what prompted this post. Heater – Does your defroster work properly? Does the fan work well? Is the heater output temperature where it should be? Spare tire- also jack and jack tools, how about the key for those locking lug nuts. Do you have aftermarket wheels, does your lug wrench fit the lug nuts? A small tool kit would not hurt either. Is the anti-freeze protection sufficient for your area? Winter driving precautions should include carrying some basic emergency items in your vehicle. These items might include flares, flashlight (and extra batteries), gloves, blankets (perhaps even a sleeping bag), boots, anything you think you would want if you were to be stranded or have to walk some distance for help. A small shovel is a good idea, and a little kitty litter can get you out of some situations. A first aid kit is highly advisable. Winter driving is not something to be taken for granted. Anything can happen out there, summer or winter, but winter elements hugely compound the problems we encounter in the aftermath of a mechanical failure, or accident. Winter offers an amazing array of outdoor recreation, but often driving is involved to get to that recreation. Be ready for whatever winter throws at you by taking a little time to make certain your vehicle is prepared for those winter conditions. Dealerships tend to suggest that your maintenance services have to be done at the dealership or your warranty will be void. This is not true, independent repair facilities can do your maintenance and in most cases for a considerably lower cost. According to the Magnuson-Moss Warranty Act the manufacturers are prohibited from voiding the warranty because maintenance and service are performed by independent non-dealer facilities. Most independent shops have all your vehicle maintenance and service schedules available to them. While it is required that you keep records to show that the required services have been done to maintain your warranty, it can be done by any facility. So, the question becomes should you use an independent repair facility? It is suggested that dealerships have factory trained technicians to perform your services. That may be true, but likely the dealership may have one or two “A” techs, and it is also likely that those are not going to be the technicians that are doing your maintenance. Independent repair shops have multiple sources for training and continuing education as well as access to manufacturer technical service bulletins (TSBs) Most independent repair shops can and do offer a level of professionalism that meets or exceeds what a dealer can offer, but with a much more personal experience. The other side of this story is fast food version of service facilities. Do you really want a mechanic working for minimum wage servicing your vehicle? The middle ground would be to find a good service facility with ASE certified technicians. There are many advantages of an independent repair shop, obviously in most cases price is a huge advantage. Along with lower prices you will usually get a much more personal experience. At the dealership you deal with a service advisor. In almost every case these advisors are paid on a commission of what the sell. Does that even sound ethical? For a service advisor to make a living they usually have to ‘sell’ $60,000 to $80,000 a month in services. Warranty repairs on your vehicle are not going to allow them to meet that criteria. It doesn’t take a lot of thinking or math to realize that there is a lot of pressure for those advisors to ‘upsell’. My feeling is that yes, you do need to know what your car needs to meet warranty requirements, and yes, your vehicle will need maintenance and repairs along the way, however, do you want someone that has to ‘sell’ work to make a living advising you on what those needs are? The personal attention that most independent repair shops offer can be quite appealing. You can actually talk with the technician that is performing your services. You can ask questions and get straight answers, that tech has had his eyes on your vehicle and can tell you what he has seen. When you are working with the service advisor, in most cases that advisor has not actually seen the issue he is telling you about. That issue that is represented as being critical and has to be fixed right now may in fact be a minor concern that just needs to be monitored. Often there is a lot lost in the translation between the technician to the service advisor when the advisor has not had his eyes on the concern. Independent shops have the option of providing either original equipment (OE) parts as well as aftermarket parts. A good repair shop can advise you on when OE should be used and when aftermarket parts can be used without compromising the quality of the repair or service. Without question in most situations if an aftermarket part can be used, there is a significant savings in the price of that part. Having the option allows the repair shop to pass that savings on to you. Overhead is another thing that impacts the cost of repairs. The dealers have bright shiny shops with lots of buzzers and bells. All that glitter costs money and be assured, the dealership is not absorbing that cost. I have seen repair bills from dealerships that are easily twice what I would be charging for that same repair. As I write this I am realizing that I could continue on this subject for longer than a blog entry should be. I will close with the suggestion that if you are currently taking your vehicle to a dealer for your service work, I would advise you to look at an independent shop as an alternative. At R&L Automotive, I can help you with your needs and advise you on what is needed for your warranty requirements as well as save you some expense. I have worked in more than one dealership over the years and I know how they generally operate, where they have values and where they are ‘selling’. Things are not always what they appear to be.